Bamboo Salt was originally created by Korean herbalist, Dr. Insan in 1917. Nu Life 3X bamboo salt is ocean-harvested on the Western sea coast of Korea using organic, sustainable methods. Nu Life 3X traditionally takes over 3 years to create, following a painstakingly detailed method. The salt is sun-dried, deposited in bamboo tubes grown for at least 3 years and capped with mineral-rich clay. The bamboo tubes are placed in a pine-wood furnace and roasted 3 times to eliminate impurities and chemicals. 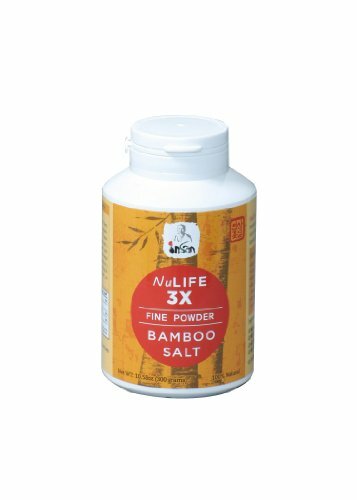 NuLife Bamboo Salt (3 times roasted) is a good substitute for sea salt or refined table salt. NuLife 3X INSAN Bamboo Salt offers exceptional flavor and savory taste. If you have any questions about this product by My Bamboo Salt, contact us by completing and submitting the form below. If you are looking for a specif part number, please include it with your message.